If you were in the market for an exposition-heavy installment, then Game of Thrones Season 8 Episode 1 was the episode for you. There's been a tremendous amount of hype surrounding Game of Thrones Season 8, mostly because of it being the final piece of the puzzle for a story that started being told back in 2011. It was surprising that Daenerys and her army arrived at Winterfell with Jon by her side during the opening moments. It seemed like a scene that was going to get held for the back half of the installment. Many complained about the fast pace of Game of Thrones Season 7, but Game of Thrones Season 8 Episode 1 was a well-balanced hour. The reaction from the people of Winterfell to the dragons in tow was something else. Then there was Arya. It was as though she recognized at that moment that she and her people actually had a chance at winning the great war. Daenerys knew she faced an uphill battle to use her southern charm to warm up the cold northern hearts, but she made a big mistake by telling Samwell about both his father and brother dying under her watch. That lit a fire under Sam to tell Jon the truth. The iciness between Sansa and Daenerys was incredible. At one point, it seemed like they were going to make good allies. Samwell saved Ser Jorah's life, and she felt she owed something to him in return. Jon didn't know a thing about Randall and Dickon dying under his new girlfriend's watch, and I'm not sure he needed to know. What he did need to know was the truth about his lineage, and the reveal was fascinating. Samwell delivered it from a place of anger. His father was fair game, but the thought of losing his brother was just too much. It remains to be seen what Jon will do with this news. 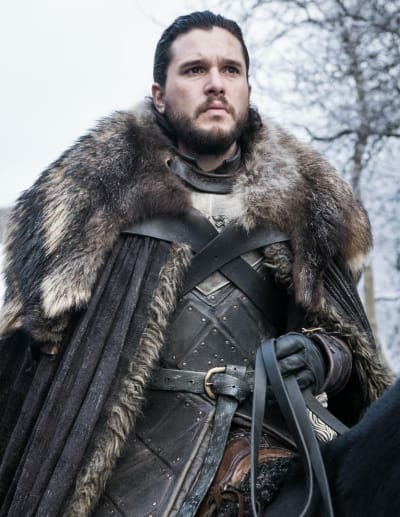 He doesn't have a lot of time to soak in the revelations considering the fact that the Night King and his army are on their way to cause as much carnage as they can with their new dragon. Jon struggled to believe the news at first, and he couldn't believe his father would have lied to him. But Ned was honoring Lyanna's wishes by saying that he was his child. There's a good chance Jon would have died much sooner than Game of Thrones Season 5 Episode 10 if anybody else knew the truth. 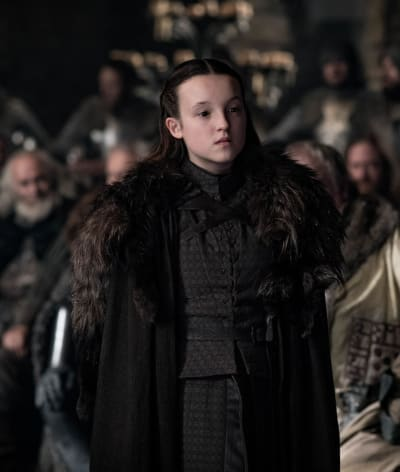 Lyanna Mormont is going to make her voice heard when the truth about Jon comes out. 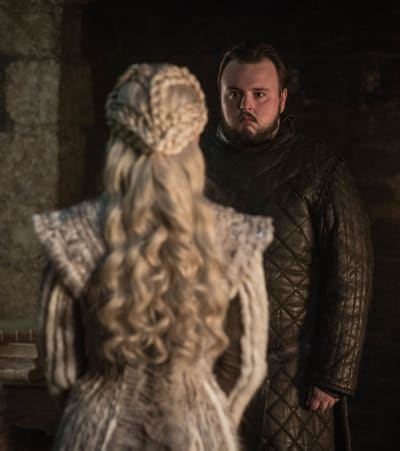 She's not the only one who isn't as trusting of his actions right now, but if she sees that he is a true heir to the Iron Throne, it's going to change things significantly. Permalink: I'm going to put a prince in your belly. It's not surprising that Sansa was on the fence about Daenerys from the get-go. Sansa sulked her way through the premiere, presumably because she wondered what the Mother of the Dragons would do when the war was over. 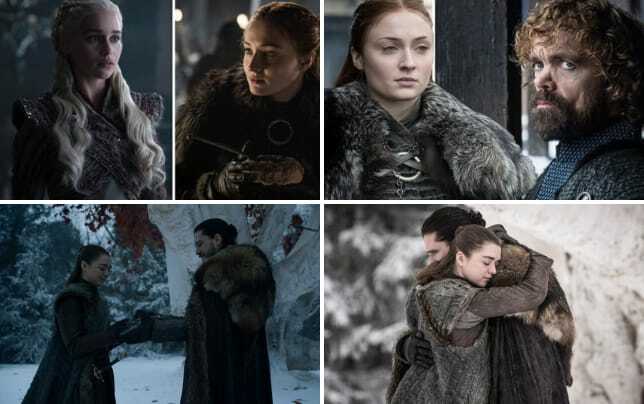 There are some big arguments on the horizon, but a lot of that is going to need to be put aside because the preview for Game of Thrones Season 8 Episode 2 showed the people of Winterfell gearing up for the battle. 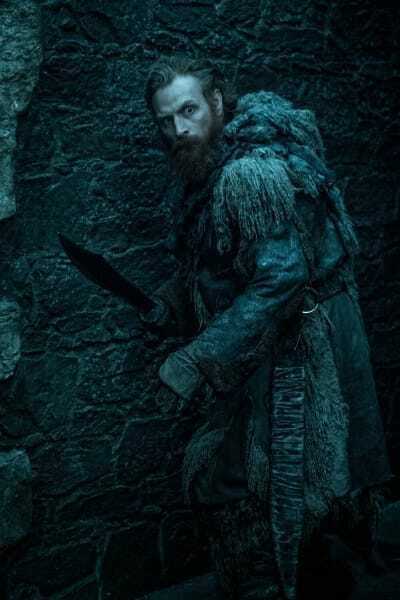 It's going to go to crap the moment Tormund arrives and tells everyone about the message from the dead. It was chilling but very reminiscent of Game of Thrones Season 1 Episode 1. There were a lot of callbacks. Of them, the most heartwarming was the child who resembled a young Bran, climbing up a tree to get a good view of Daenerys and Jon arriving ... and the dragons. I thought there was going to be minimal action from the dragons, but Jon Snow finally learned how to tame a dragon -- or to ride one. That came out of nowhere, but it was the right time. 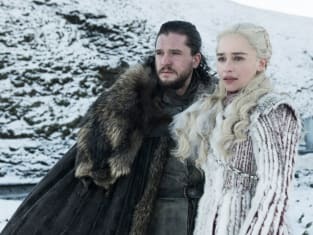 Jon and Daenerys will be controlling the dragons during the upcoming fight, and I can't wait to see how they work side by side. Was anyone else surprised that Bran was waiting for Jaime to arrive? The "waiting for an old friend" comment was quite a surprise. Bran was the first person Jaime laid eyes on during his arrival, and you could tell he felt an immense amount of guilt for his actions. Jaime is trying to fight on the side of good now, but it's unclear whether his redemption arc will last long. He has a fair amount of enemies at Winterfell, and it's hard to imagine Daenerys even entertaining the possibility of working with him given his past with the Targaryens. Will he prove himself in the looming battle? That appears to be the only way he lives to confront Cersei again. His sister has long been against traitors, and the kill order against Tyrion was par for the course, but it was a cold move to throw Jaime's name out there. Additionally, having Bronn carry out the deed also came out of the left field. He's been Jaime's right hand for a long time, so things are going to get gnarly if he makes it to Winterfell with the aim of both men. Cersei's plan to ditch sending the Lannister army to Winterfell is a good one. 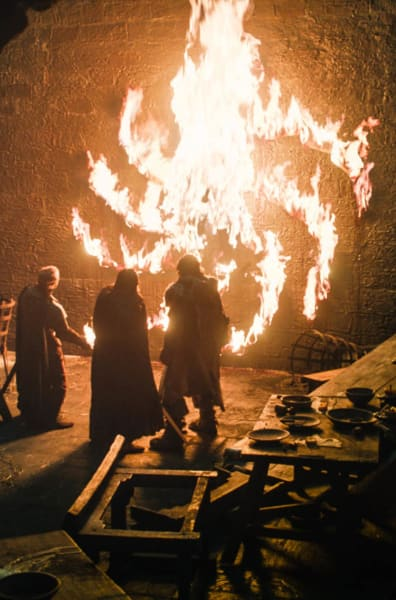 By the time Jon, Daenerys, and the others have time to retaliate, they will be fighting off the Night King and his army. Cersei likes her odds of winning better if she lets everyone else fight in the first wave, and she will take out the stragglers down the line. Her thirst for power has always been problematic, and this decision is either going to make her reign last longer or bring it to a conclusion much quicker. The poetic justice here would be if Jaime were the one to kill Cersei. It's possible that Cersei will outlive her brother, but it would be satisfying to have her brother be the one to end both her reign and her life. Cersei sleeping with Euron was not surprising. She's worried that Euron tires of waiting around for her. He's an impulse-driven man who doesn't think his actions through. His comments about keeping Yara around were comical, but it seemed a bit out there that she even survived this long. A part of me wondered whether Theon showing up to save her life was a dream. It was too easy. Theon needed that moment to repent for his sins. He pulled the worst move by running off and leaving his sister to his uncle on Game of Thrones Season 7. But it all worked out a little too nicely for my liking. Yara is on her way back to the Iron Islands, and I dare say Euron will pop up again there before the series wraps. 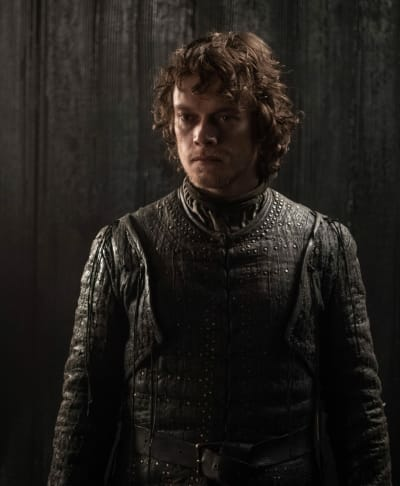 Theon has had some heroic moments, and I'm sure he'll get another handful as he joins in the war at Winterfell. There were so many reunions that it's hard to pick my favorite! Gendry and Arya have some unfinished business, and I'm sure that will get explored. Tyrion and Sansa's meeting was frosty, but they both did what they had to to survive. I loved that Sansa was quick to call B.S. on the notion that Cersei is sending her army. Tyrion, of all people, should know that his sister is up to something. Those new opening credits represented quite the overhaul. There was so much going down that I almost forgot about them entirely! Will Cersei get her elephants? Something tells me she'll find a way! It's time for YOU to weigh in. What did you think of all the drama? Remember you can watch Game of Thrones online right here via TV Fanatic. Get caught up right now! Game of Thrones continues Sundays on HBO.